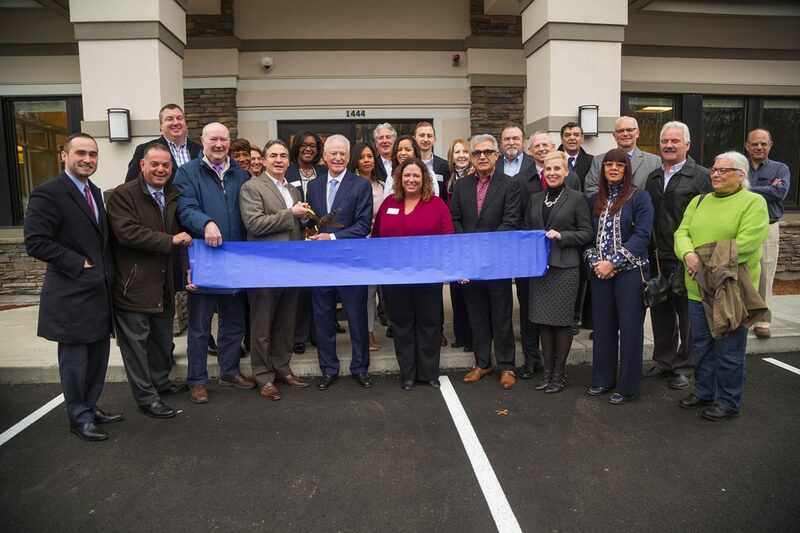 SPRINGFIELD—Moments before he cut the celebratory ribbon, making the opening of Florence Bank’s second Hampden County branch official, President and CEO John Heaps Jr. announced the bank’s support for several community projects. This spring, in collaboration with the city of Springfield and the Basketball Hall of Fame, the bank will provide $15,000 to refurbish a basketball court at Greenleaf Community Center, and it is also contributing $25,000 to a $2 million campaign to build a Library and Community Learning Center in East Forest Park. About 50 people attended the event at the branch, which was closed for the celebration for an hour. Those gathered included bank employees, board members and corporators as well as community leaders such as Springfield Mayor Domenic Sarno; Kevin Kennedy, Springfield chief development officer; state Rep. Angelo Puppulo; and city councilors Kateri Walsh and Jesse Lederman. Also in attendance were businesspeople with a role in the opening—from the former land owners to the architects, engineers, site planners and the furniture supplier. Branch manager Nikki Gleason, a Springfield native and active volunteer, said she is excited to have the branch up and running. She introduced her staff team: Candice Somar, assistant branch manager; Bianca Hyde, customer service representative (CSR) / teller operations manager; Mario Nascimento, CSR / senior teller; Magdalis (Maggie) Sierra, CSR / senior teller; and Carolyn Ware, community relations director. The Allen Street branch has a contemporary and welcoming open floor plan with two teller pods and innovative technology for quick cash handling. The location also features a drive-up ATM with SMART technology for easy depositing and a comfortable waiting area inside with a coffee bar and free Wi-Fi. Sarno thanked Florence Bank and its staff for its commitment to Springfield and for the philanthropic measures—with the basketball court and library—that it is already putting in place. Florence Bank has nearly 3,900 customers living in Hampden County, including 762 business customers, 373 of whom are located in Springfield. “We’re off to a great start,” Heaps said. Florence Bank, chartered in 1873, is unique in that it’s a mutually-owned savings bank, meaning it does not need to pay dividends to stockholders. That mutuality, Heaps said, allows us to make decisions about what’s best for customers and the community. Florence Bank is a mutually-owned savings bank chartered in 1873. 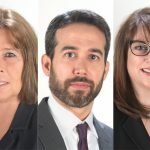 Currently, the bank serves the Pioneer Valley through 11 full-service branch locations in Florence, Northampton, Easthampton, Williamsburg, Amherst, Hadley, Belchertown, Granby, West Springfield and a new branch located on Allen Street in Springfield. Additionally, they offer 28 ATMs and a wide range of financial services including investment management through FSB Financial Group (FSBFG) to consumers and businesses. Florence Bank is consistently voted best local bank by the readers of the Valley Advocate and the Daily Hampshire Gazette.